Certain travel insurance policies cover you and your family for additional events, such as lost or stolen luggage and bags, trip cancellations and delays and personal liability. If you have time, use comparison sites to shop around for the best insurance. When finding the best policy suitable for you, consider the excess fee and keep in mind what aspects of your trip the insurance will protect you from. The cheapest policy isn’t necessarily the best, and neither is the most expensive. Holiday cancellation cover will help you if the unexpected happens and you can no longer embark on your holiday. Having travel cancellation cover (travel insurance) allows you to reclaim the cost of your trip up to the agreed cover limit. Although it’s unlikely you’ll receive your entire payment back, it will definitely ease the cost if things go wrong. Be aware that if you purchase your insurance last minute, you might not be able to make a claim if anything was to go wrong. It’s better to arrange your cover sooner rather than later to avoid disappointment and lack of protection. Despite being able to take out a policy after an incident, you won’t be able to make a claim. Did you know? Receiving medical treatment while on holiday in Europe cost approximately five times more than it does in the UK. The European Health Insurance Card is available in over 30 countries, including some of the most popular holiday destinations such as France, Italy and Spain, the E111 card is perfect to make sure you have the right EU health cover. If you don’t have a valid E111 card, most insurance will refuse to pay for all medical treatment, which is stated in the small print of the policies you must read before applying for the card. If you have been rejected treatment for this reason, you can try to make a claim for what you received on your travel insures. This is why it is important to have both types of insurance so that one way or another, you aren’t left completely out of pocket. The European Health insurance card is valid for up to five years. You can renew your EHIC up to six months before the expiry date. If you don’t apply for your card to be renewed within the 6 month cut off period, any time left of the card will not be added to your new card. Renewing your card is easy. If you would like to renew your card, you can contact the application line or renew your card online. Although having any type of travel-related insurance isn’t a legal requirement, it is important if you want to be eligible to receive affordable medical care whilst you’re on holiday. Otherwise, you will be expected to pay out thousands of pounds towards your treatment. 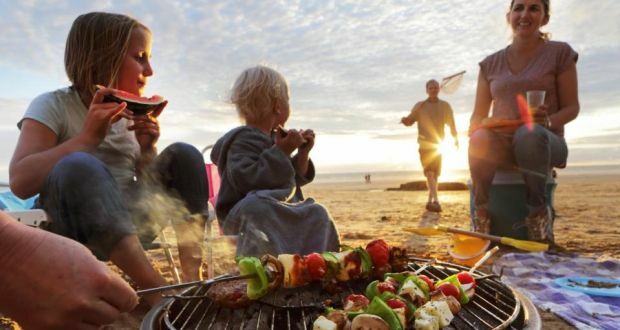 Keep your mind at ease this summer by taking out holiday protection. If you are not interested in agen judi poker , then you have already missed a lot.